Come See Us At 3 Rivers Arts Fest This Week! Hooray! 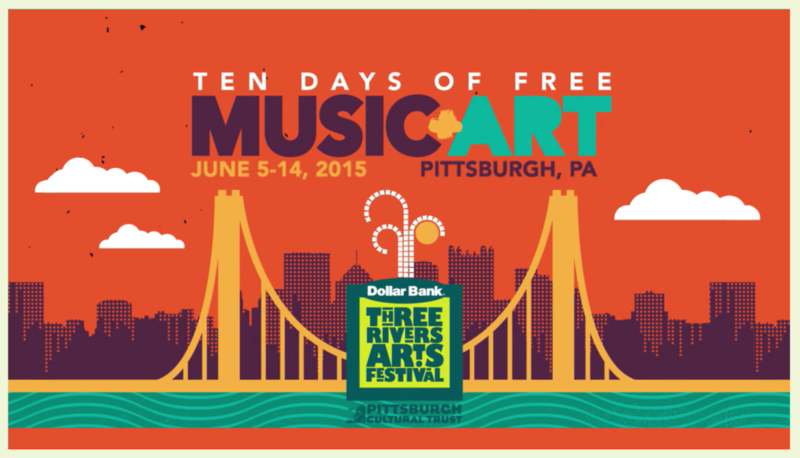 It’s June in Pittsburgh and that means it’s Three Rivers Arts Festival time! We will be vending in the 1st Session A this year, from Friday June 5th to Tuesday June 9th (only!) at Booth #28, on Gateway Plaza between the Wyndham Grand Hotel & Gateway Three. Come on dahntahn! The Dollar Bank Three Rivers Arts Festival, a production of the Pittsburgh Cultural Trust, is a celebration of the arts in downtown Pittsburgh unlike any other in the nation. Each of its world-class, multi-disciplinary performing and visual arts attractions is free to attend and open to the public! The Festival begins on the first Friday in June and takes place at the confluence of Pittsburgh’s famed three rivers in Point State Park, throughout picturesque Gateway Center, and in the city’s world-renowned Cultural District. For more about Three Rivers Arts Fest, here’s a great short video that captures the magic. 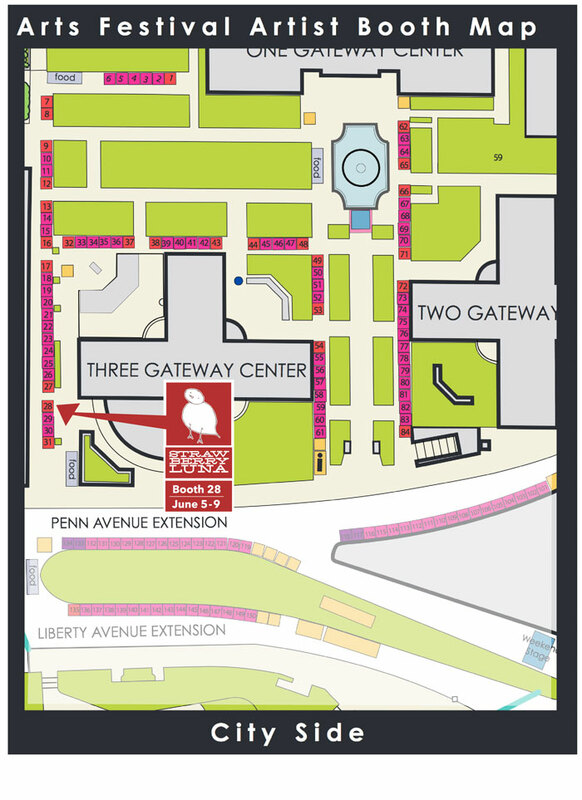 For the entire Three Rivers Arts Fest Artists Market Maps click HERE and to see the entire 10-day list of rotating artists click HERE. Hello Nashville! We are so looking forward to meeting you in June! 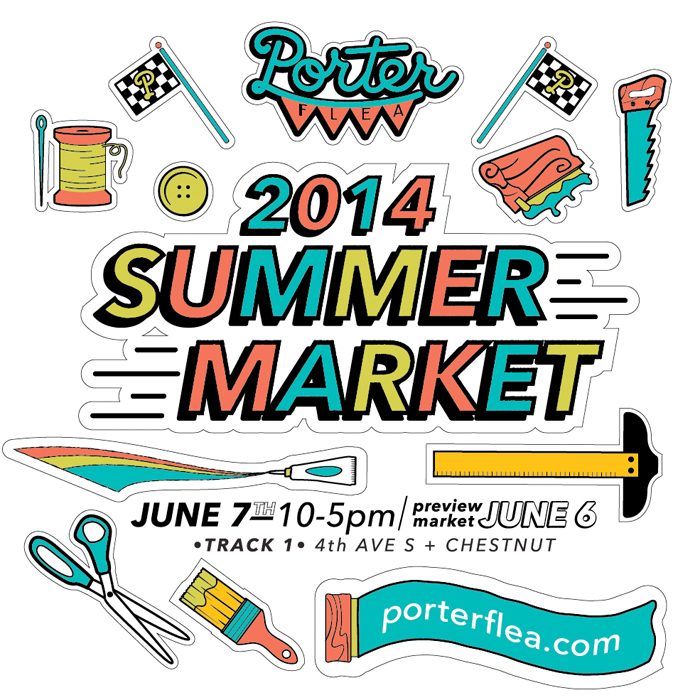 Just a quick update to announce our participation as part of a curated 76 vendor lineup for the 2014 Summer Porter Flea Modern Handmade Market in Nashville, TN June 6 & 7. We will post again closer to the show with more specifics, but for now here are the main details for you, and you can always keep up with our Upcoming Events, Shows, and new work at our Events Page here! When: (VIP Preview Market Friday June 6th from 6pm – 9pm) / Main Market Saturday June 7th from 10am – 5pm. Cost: Saturday MAIN MARKET = FREE!! / Friday VIP Preview Market cost is $15. Why: Because handmade & handcrafted is best! Richmond Craft Mafia Spring Bada-Bing Time! Hello Richmond! And the Richmond, VA area! We are heading your way for the first time ever and couldn’t be more excited to meet you. We will be vending at the Richmond Craft Mafia Spring Bada-Bing show this Saturday (and this Saturday ONLY) April 5th at the lovely Hardywood Park Craft Brewery in lovely Richmond, VA. The show is a one-day-boomer and runs from 11am – 5pm, rain or shine. But we hear it’s mostly going to be shine. Hooray! So come on out and see the handiwork of over 80 amazing vendors and makers of handmade craft. And if that’s not enough? Hello! Craft Beer. Seriously, it’s going to be a blast. Why: Because, after 8 years, we still want to bring unique, innovative shopping to RVA – this time with beer! Entrance Fee? – Heck no! Free, baby, free. Say, what about parking? – There is plenty of free on-street parking all around Hardywood. For more info head over to the Richmond Craft Mafia site here, and we’ll see you there!